A world-class annual art event, The Arizona Fine Art EXPO is a unique opportunity to meet artists in their studios and to experience the creation of fine art. Explore, discover, engage and collect original works of art directly from award-winning, renowned and emerging artists. 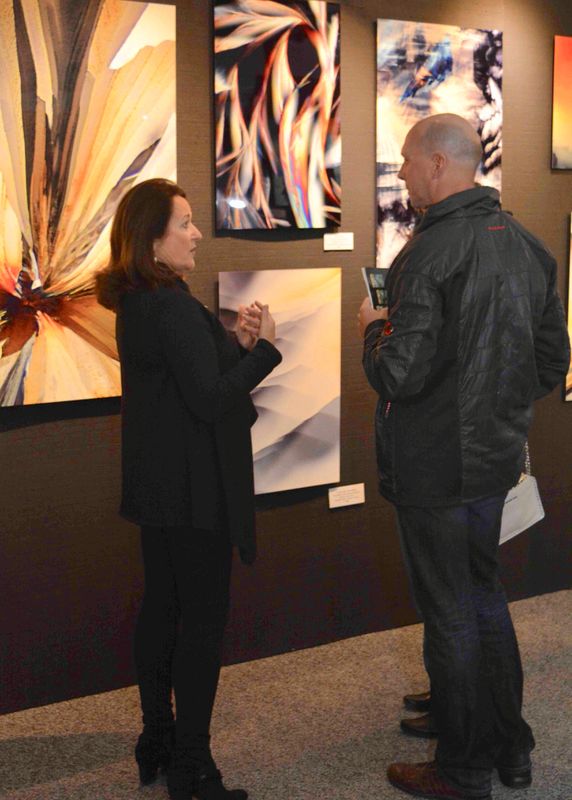 Whether you are an avid art collector or just starting your collection, the vast array of fine art genres and mediums exhibited at the 15th Annual Arizona Fine Art EXPO will exceed expectations. An incomparable art experience, the EXPO2019 provides a rare opportunity to meet artists while they work in their studio creating fine art. The Arizona Fine Art EXPO is located in the heart of the Sonoran Desert, 124 art studios within a 44,000 sq.ft tent, the EXPO is the art destination of Arizona. Immerse yourself in this fine art experience! Join us and discover artists from across the United States. Bronze, Stone Carving, Metal Sculptures, Wood Sculptures, Copper Sculptures, and Furniture, Southwest Art, Western Art, Mid-Century Modern, Contemporary, Realism, Modern, Impressionism, and Abstract. Paintings in Watercolor, Oil, Acrylic, Mixed Media, Pen & Ink, Graphite & Pencil Drawings, Glass, Gourds, Ceramics, Photography, Jewelry and much more. Join us for 10-weeks of fine art! Purchase a season pass and return daily. We open through Sunday, March 24th, 2019. 7 Days a Week, 10 a.m. to 6 p.m. The Arizona Fine Art EXPO is located at 26540 N. Scottsdale Rd. in North Scottsdale, SW corner of Jomax & Scottsdale Road, just north of MacDonalds Ranch. Season Pass $10; Seniors & Military is $8; Children under 12 are free. Wheelchair accessible. Free Parking. The 15th Annual Arizona Fine Art EXPO, January 11th through March 24th, 2019, is dedicated to the enhancement of art appreciation and education. Whether you are a dedicated art collector or a new patron to the arts, the Arizona Fine Art EXPO combines the aspects of a juried fine art festival, the elements of a gallery and the inner-workings of an artist’s studio. The result is a exceptional art experience. For 2019, we proudly welcome the following juried artists to the arizona fine art expo. Arthur Benjamins, Roxanne Bryan, Carl Cedergren, Kelly Charveaux, Michael Charveaux, Elaine Coffee, J.C. Dye, Mike Gardener, Deborah Haeffele, Paul Jones, Erik Kinkade, Chul Yong Lee, Transy Lopez, Joe Netherwood, Collen nyanhongo Millie Sabatino, Veronica & Gabriel Sandoval, Mary Jo Strauss, Barbara Swanson, Ora Tamir, Dave Venell, Cydette Vikander, Reian Williams, Katherine Wilson. meet all the artists participating in EXPO2019, January 11th thru March 24th. A unique opportunity to browse 124 art studios and experience the creation of art. Collect works of art from award-winning, renowned and emerging artists. Catch up on the EXPO artists. read the articles, watch tv appearances and video - everything that makes the arizona fine art expo a spectacular event. Experience the unique and creative menu of the Cafe de EXPO. Each day Christine Hauber & Caroline Kwas offer a delicious selection of homemade and freshly prepared seasonal dishes from around the world; including vegan, vegetarian and gluten-free options in addition to our all American burgers and hotdogs!